PLEASE NOTIFY THE SURGERY DEPARTMENT IF YOUR SURGERY IS AFTER 10AM. While the above anecdote may seem to be a bit exaggerated, the truth is, patients do in fact see hospitals as a labyrinth…but they don’t have to. SPREO’s indoor mapping and location platform works to translate the hospital setting for patients and visitors. Either on a mobile or web platform, patients can familiarize themselves with the hospital and receive comprehensive directions to an appointment, and can also search for points of interest like the cafeteria, patient check-in, or a bathroom. When patients find their destinations easily and promptly, hospitals find that patient-satisfaction also increases. Moreover, hospitals see the erosion of a major financial burden. When patients are lost, money is lost. Every patient that is late for an appointment sends a delay through a staff member’s day from that point on. For every minute a doctor spends waiting for a patient to arrive, is another minute that intrudes on the tasks that come after the appointment. Found in such a situation, the patient may ask for directions. The loss in efficiency is multipronged. Another point that hurts the efficiency of a hospital’s staff is when patients ask for directions from a working staff member. A single instance may not prove to hurt the hospital very much, but what is seen from a collective patient constituency, is a substantial disruption inflicted on the staff. Unhinged from the difficulties brought upon by issues in wayfinding, revenue losses will decrease. While facing revenue losses is important, the graver issue at hand may be the safety risks involved with lost patients. Poor wayfinding can lead patients and visitors into restricted areas that can pose either a security problem, or worse, a health hazard (to themselves and others). Furthermore, depending on a patient’s circumstance, a delay can lead a patient to face a life-threatening situation. Lastly, the constituency within a hospital will need to know exactly where to go during crisis mode (emergency situations). When patients and visitors within a hospital feel that they are lost within a labyrinth due to wayfinding deficiencies, they suffer, and so do the hospitals. 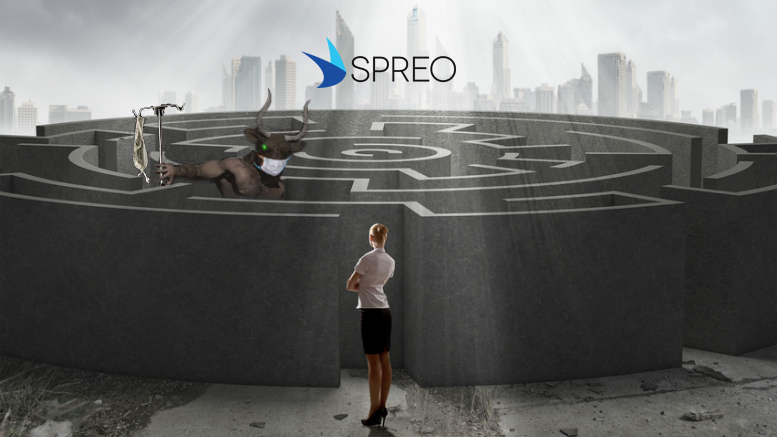 With the integration of SPREO’s location and mapping platform, the problems in wayfinding are treated so that hospitals can more efficiently treat their patients.